Film posters are displayed inside and on the outside of movie theaters, and elsewhere on the street or in shops. The same images appear in the film exhibitor's pressbook and may also be used on websites, DVD (and historically VHS) packaging, flyers, advertisements in newspapers and magazines, etc. Film posters have been used since the earliest public exhibitions of film. They began as outside placards listing the programme of (short) films to be shown inside the hall or movie theater. By the early 1900s, they began to feature illustrations of a film scene or an array of overlaid images from several scenes. Other posters have used artistic interpretations of a scene or even the theme of the film, represented in a wide variety of artistic styles. 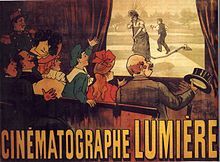 The first film poster was based on an illustration by Marcellin Auzolle to promote the showing of the Lumiere Brothers film L'Arroseur arrosé at the Grand Café in Paris on December 26, 1895. Originally, film posters were produced for the exclusive use by the theaters exhibiting the film the poster was created for, and were required to be returned to the distributor after the film left the theater. In the United States, film posters were usually returned to a nationwide operation called the National Screen Service (NSS) which printed and distributed most of the film posters for the studios between 1940 and 1984. As an economy measure, the NSS regularly recycled posters that were returned, sending them back out to be used again at another theater. During this time, a film could stay in circulation for several years, and so many old film posters were badly worn before being retired into storage at an NSS warehouse (most often, they were thrown away when they were no longer needed or had become too worn to be used again). Those posters which were not returned were often thrown away by the theater owner or damaged by being outside. Beginning in the 1980s, the American film studios began taking over direct production and distribution of their posters from the National Screen Service and the process of making and distributing film posters became decentralized in that country. Old Bollywood posters, like Hunterwali (1935) featuring Fearless Nadia are collectors items. After the National Screen Service ceased most of its printing and distribution operations in 1985, some of the posters which they had stored in warehouses around the United States ended up in the hands of private collectors and dealers. Today there is a thriving collectibles market in film posters; some have become very valuable. The first auction by a major auction house solely of film posters occurred on December 11, 1990, when proceeds of a sale of 271 vintage posters run by Bruce Hershenson at Christie's totaled US$935,000. The record price for a single poster was set on November 15, 2005 when $690,000 was paid for a poster of Fritz Lang's 1927 film Metropolis from the Reel Poster Gallery in London. Other early horror and science fiction posters are known to bring extremely high prices as well, with an example from The Mummy realizing $452,000 in a 1997 Sotheby's auction, and posters from both Bride of Frankenstein and The Black Cat selling for $334,600 in Heritage auctions, in 2007 and 2009, respectively. Occasionally, rare film posters have been found being used as insulation in attics and walls. In 2011, 33 film posters, including a Dracula Style F one-sheet (shown right), from 1930-1931 were discovered in an attic in Berwick, Pennsylvania and auctioned for $502,000 in March 2012 by Heritage Auctions. Over the years, old Bollywood posters, especially with hand-painted art, have become collectors items. As a result of market demand, some of the more popular older film posters have been reproduced either under license or illegally. Although the artwork on reproductions is the same as originals, reproductions can often be distinguished by size, printing quality, and paper type. Several websites on the Internet offer "authentication" tests to distinguish originals from reproductions. Original film posters distributed to theaters and other poster venues (such as bus stops) by the movie studios are never sold directly to the public. However, most modern posters are produced in large quantities and often become available for purchase by collectors indirectly through various secondary markets such as eBay. 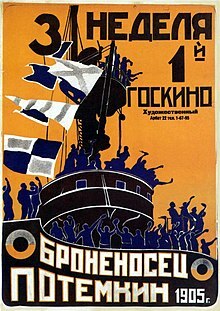 Accordingly, most modern posters are not as valuable. However some recent posters, such as the Pulp Fiction "Lucky Strike" U.S. one sheet poster (recalled due to a dispute with the cigarette company), are quite rare. 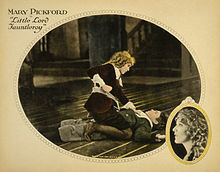 Lobby cards are similar to posters but smaller, usually 11 in × 14 in (28 cm × 36 cm), also 8 in × 10 in (20 cm × 25 cm) before 1930. Lobby cards are collectible and values depend on their age, quality, and popularity. Typically issued in sets of eight, each featuring a different scene from the film. In unusual circumstances, some releases were promoted with larger (12 cards) or smaller sets (6 cards). The set for The Running Man (1963), for example, had only six cards, whereas the set for The Italian Job (1969) had twelve. Films released by major production companies experiencing financial difficulties often lacked lobby sets, such as Manhunter (1986). A Jumbo Lobby Card is larger, 14 in x 17 in (36 cm x 45 cm) and also issued in sets. Prior to 1940 studios promoted major releases with the larger card sets. In addition to the larger size, the paper quality was better (glossy or linen). The title card displays the movie title and top stars prominently. In the United Kingdom, sets of lobby cards are known as "Front of House" cards. These, however, also refer to black-and-white press photographs, in addition to the more typical 8 × 10 inch promotional devices resembling lobby cards. The Beinecke Rare Book and Manuscript Library at Yale University holds a collection of lobby cards from silent western films that date between 1910 and 1930. Bearing only a symbol associated with the film, or simply just the title. A main character, looking away from the screen but looking at something in the distance. For a film with an ensemble cast there may be a set of character posters, each featuring an individual character from the film. Usually it contains the name of the actor or the name of the character played. It may also include a tagline that reflects the quality of the character. Film posters come in different sizes and styles depending on the country. The most common are listed below. The "billing block" is the list of names that adorn the bottom portion of the official poster (or 'one sheet', as it is called in the movie industry) of the movie". A billing block can be seen at the bottom of Reynold Brown's poster from Attack of the 50 Foot Woman (1958), which is reproduced below. In the layout of film posters and other film advertising copy, the billing block is usually set in a highly condensed typeface (one in which the height of characters is several times the width). By convention, the point size of the billing block is 25 or 35 percent of the average height of each letter in the title logo. Inclusion in the credits and the billing block is generally a matter of detailed contracts between the artists and the producer. Using a condensed typeface allows the heights of the characters to meet contractual constraints while still allowing enough horizontal space to include all the required text. 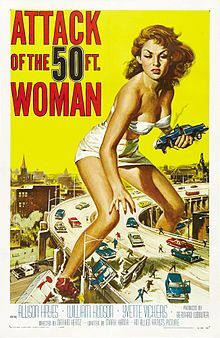 Attack of the 50 Foot Woman (1958), an iconic poster by Reynold Brown. Normally, the artist is not identified on the film poster and, in many cases, the artist is anonymous. However, several artists have become well known because of their outstanding illustrations on film posters. Some artists, such as Drew Struzan, often sign their poster artwork and the signature is included on distributed posters. The annual Key Art Awards, sponsored by The Hollywood Reporter, include awards for best film poster in the categories of comedy, drama, action adventure, teaser, and international film. The Hollywood Reporter defines the term "key art" as "the singular, iconographic image that is the foundation upon which a movie's marketing campaign is built." In 2006, the original poster for The Silence of the Lambs was named best film poster "of the past 35 years". ^ "The Movie Poster Begins". Filmmakeriq.com. Retrieved 15 October 2018. ^ "How to Make A Mint From Movie Posters". Empire. Retrieved 15 October 2018. ^ "National Screen Service - Demise". Learnaboutmovieposters.com. Retrieved 15 October 2018. ^ Ettorre, Barbara (1991-01-11). "Entertainment Weekly Article". ^ "eMoviePoster.com Hollywood Posters I Auction". ^ a b "Lang movie poster fetches record". BBC News. 15 November 2005. Retrieved 11 January 2009. ^ Andrew Pulver (14 March 2012). "The 10 most expensive film posters – in pictures". The Guardian. ^ "Collectors can make good money with old Bollywood posters". Economic Times. Dec 18, 2011. Retrieved 2013-08-20. ^ "100 years of Indian cinema: Top 50 hand-painted Bollywood posters". CNN-IBN. May 3, 2013. Retrieved 2013-08-20. ^ Jerry Pinto; Sheena Sippy (2008). Bollywood Posters. Thames & Hudson. ISBN 978-0-500-28776-7. Retrieved 20 August 2013. ^ Rosie Murray-West (5 December 2014). "Investing in film posters: which have made the most money?". The Daily Telegraph. ^ "Movie Poster Size Guide - Heritage Auctions". Heritage Auctions. August 30, 2016. Retrieved 2016-08-31. ^ "The Western Silent Films Lobby Cards Collection, 1910–1930", Beinecke Rare Book and Manuscript Library, Yale University, retrieved 2009-07-08 . ^ "Glossary Sizes". Movie Poster Art Gallery. Retrieved December 6, 2007. ^ "Original Film Art". Movie Poster Sizes. ^ "40x60 Movie Poster". www.learnaboutmovieposters.com. Retrieved 2017-02-19. ^ Wolfe, III, Ernie (2000). Extreme Canvas. Los Angeles: Dilettante Press. p. 94. ISBN 0966427211. ^ Wolfe, III, Ernie (2012). Extreme Canvas 2: The Golden of Hand-Painted Movie Posters from Ghana. Los Angeles, CA, USA: Kesho Press. p. 482. ISBN 978-0615545257. ^ Crabb, Kelly (2005). The Movie Business: The Definitive Guide to the Legal and Financial Secrets of Getting Your Movie Made. Simon and Schuster. p. 72. ISBN 9780743264921. ^ "Credit Where Credit is Due". Posterwire.com. March 21, 2005. Retrieved 2012-05-29. ^ Jaramillo, Brian (March 4, 2009). "Corey Holmes watches the Watchmen". Lettercult. Retrieved 2012-10-04. ^ "Tim Hildebrandt - Posterwire.com". Posterwire.com. Retrieved 2012-05-29. ^ "Frank McCarthy". American Art Archives. Retrieved 2009-01-11. ^ "Robert McGinnis". American Art Archives. Retrieved 2009-01-11. ^ "The Art of John Solie". ^ "Key Art:Creating a Lasting Impression". Zevendesign.com. Retrieved 15 October 2018. ^ "Sin City' place to be at Key Art Awards". The Hollywood Reporter. Retrieved 15 October 2018.